I can't seem to turn on my new build pc, the power supply cords are connected to the motherboard but I can't seem to manage to get it to boot. I have a 650w psu so I don't think is a matter of power. When I try to turn the pc on it doesn't make any kind of noise, to even a single beep, zero. Altough im a litte bit confused about the color order for the front panel connecters, I connected them according to the color order that indicates in the board, but still it doesn't power up. In my experience, it can only be the front panel connectors. Try playing around with the power connector until it switches on. 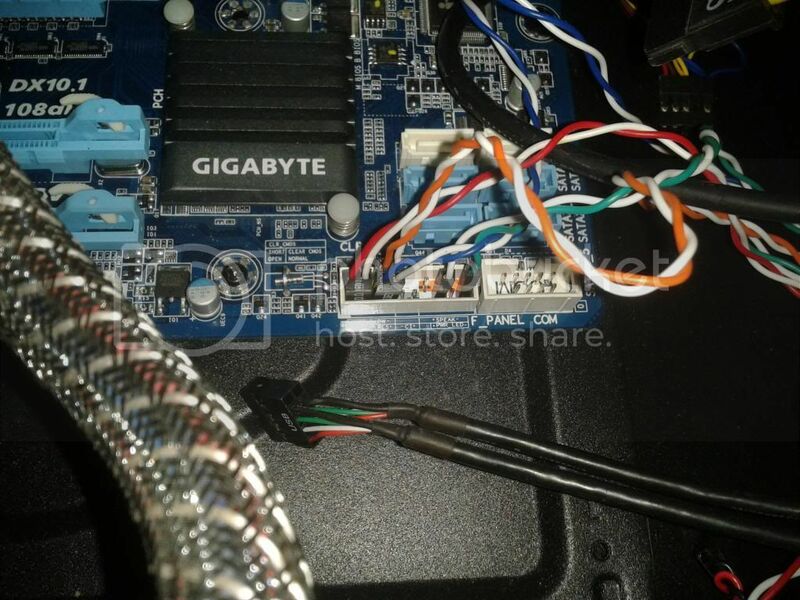 Here's a snip of where the connectors must come: http://filegooi.co.za/get2/7f3fe8a8405ea00326ebe04f9da0a858/fPanel.jpg Hope this helps buddy! 2) If you have a 'spare' microswitch try connecting it to the board PWR connection as suggested above. 3) Check to ensure you have the Main power connector in the right way around and the 12V auxilary power connector in and ditto the right way around. 5) Check the board out of the case resting on the original box NOT the bag(!) it came in. Its got to be plugged in as was in the case, use the power switch connector. It is a balancing trick! to get the components in the right place. 6) Are there any teltales LEDs on the board some do some don't have them. Do they light up. 7)Take the M/board back if possible and get them to check it? I've already tested the PSU in another board and it worked without any problems, it powered up normally so it's not PSU issue. Here are some pictures I took of how im connecting the frontal connectors, I connected according to the diagram brennyt posted, but it still not booting at all. Any tips of what im connecting wrong? Hello again, i managed to power up the pc, but now it reboots endlessly, it won't even go into the BIOS, after i turn it on, after a few seconds it restarts and this goes on a loop. I also noted that the cpu fan wont' spin when I turn on the pc, it kinda looks that is about to start spinning but then it stops. Might be some kinda of short maybe? any tips? You need to make sure the CPU fan is connected! You will be/may have cooked the Processor. :-(( Test the Fan! 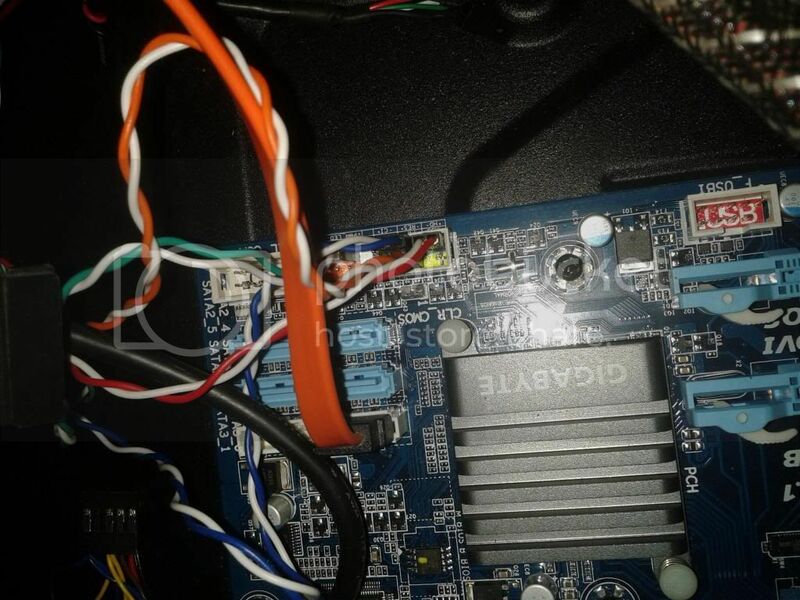 Work simple and smart, remove anything connected to the Motherboard NB NB NB before you do make sure you which way around it connects and what and where it connects to. Make simple drawing and anotate where Pin 1 is and what cable you have connected to it. Take pictures! but make sure you can see the markings on the board. the one you have taken is good but the connector markings are 'flashed ' out. Make sure you have the (right) Motherboard connection diagram for the board. Does the PC speaker work? has it got one? Does it make any noises, beeps. if it does write sequence down and look it up under beep codes, check which manufactures BIOS as some of the codes differ. hi, i had a similar problem recently and i eventually solved it by removing the motherboard and re-screwing in the screws and standoffs in there correct positions. it turns out i put too many stand offs under the board and it was causing the board to short. even one out of place standoff or screw might cause this to happen..i remember the fan would start for a second then stop...sounds just like my problem. i even stupidly brought a new power supply thinking it was damaged! My HP PC won't start up. I have removed the motherboard and refixed it but it doesn't solve the problem. The CPU FAN usually start slows but it will later will started runing very fast. until the motherboard sends it's first beep to the onboard speaker to signify full power is available. The process usually takes a few seconds. Gateway Laptop Won't Turn On At All - Dead! Computer won't turn on at all.